Since the advent of the internet revolution in the early 2000, there have been massive developments in the technosphere. If we look in the Indian context, hardly a couple of decades back, Landlines and bulky televisions were still so much in use, whereas now they are things of the past replaced by media oriented Smartphones. It would be no exaggeration to state that technology has significantly creeped into human beings’ daily life. HireIndianProgrammers being the software development space, keeps it itself abreast of the developments in technology so as to better serve our customers and stay ahead in the competition. As we step in to 2019, we take a look at some of the emerging technologies that will progress to next stage of significant disruption and omnipresence. Artificial Intelligence has been in existence since the 50s but has now acquired new meaning and applications. It has transformed from mere observation and recognition to learning and analysis. Earlier, data scientists had to partner with application developers to create AI infused solutions. Now developers can work by themselves using a set of predefined models. This would enable the developer with an ecosystem of AI algorithms and models, as well as development tools tailored to integrating AI capabilities and models into a solution. In addition to that, AI can also be applied to every stage of the development process itself (automation) including application development and testing. It won’t be too far in the future until we see specialised jobs in the AI domain. Ultimately, the scope of AI will expand to the level of non-professionals’ ability to use AI driven tools to automatically generate new solutions. In short, flexibility will be the new norm bringing new efficiency to the table. Hire our developers who have worked with a diverse range of clients and therefore acquired the ability to adapt themselves to their needs. Blockchain is a type of distributed ledger. This disruptive technology will enable to transfer information of all kinds in a transparent way that ultimately builds trust and reduce friction across business ecosystems – in the end lowering costs and transaction settlement times significantly. Attempting fraud will soon be a thing of the past. Every digital transaction will be stored as records and therefore tracking will be much more extensive and easier. The trust placed in banks and other financial institutions is a single version of the truth. Blockchain provides an alternative trust mode and removes the need for central authorities in arbitrating transactions. However, the technology needs to undergo more improvements in order to pass the regulatory test. Not withstanding, there is potential for good disruption. Therefore, Leaders must acknowledge and evaluate it to better adopt it in the coming years. IoT stands for Internet of Things. This technology seeks to connect all electronic devices, share information, analyse data and implement actions accordingly. For example, parking sensors, headlights and traffic signals can work in sync and assist in coordinated action. This could bring down the number of fatalities and also improve traffic flow. Smart home solutions, smart grids, smart city etc all have the basis on Internet of Things. One can switch on/off lights and control any mechanical devices with a tap on their mobiles. What does it mean for businesses? It means a change in their business models or their supply chains or customer service delivery systems making it imperative for them to be aware of it and incorporate it wherever necessary. 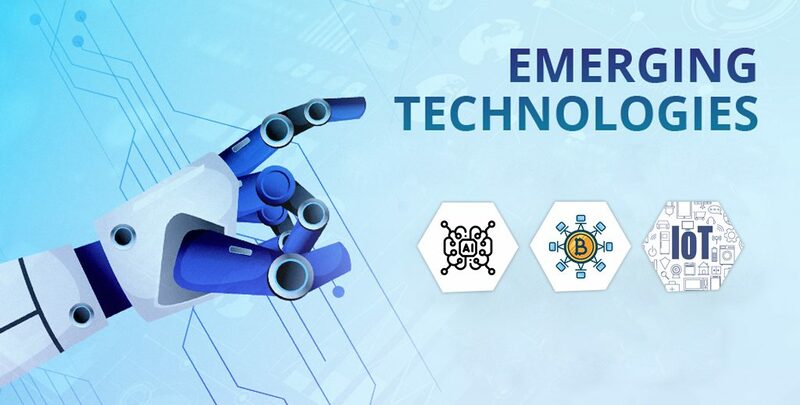 All the above technologies seek to connect us and enable us to collaborate more. Entirely new businesses (and models) will come to the fore and with that come new challenges. We keep ourselves updated with the latest trends and work closely with our clients to create unique solutions. Have a look at some of our projects here.